Civilization, as we know it, is in the process of making a monumental shift in human consciousness of which we are all playing a part, consciously and subconsciously. Every aspect of our lives, both personally and professionally, is being profoundly affected. 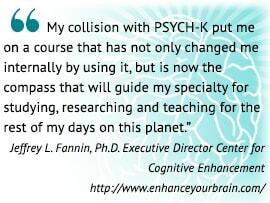 Using PSYCH-K®, you can help to positively direct this change. 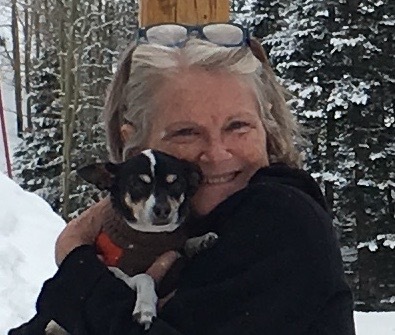 PSYCH-K allows you to quickly and painlessly change subconscious beliefs that are limiting the full expression of your potential in life, as a spiritual being having a human experience. This includes your mental, emotional, physical, and spiritual well-being. a non-invasive, interactive process of change with a proven record of success for over 25 years! a ground breaking approach to facilitating change at the subconscious level where at least 95% of our consciousness operates. 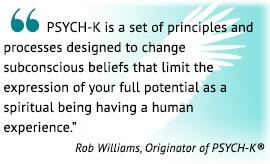 Originator of PSYCH-K®, Rob Williams, speaks about Changing the belief, changes the believer! 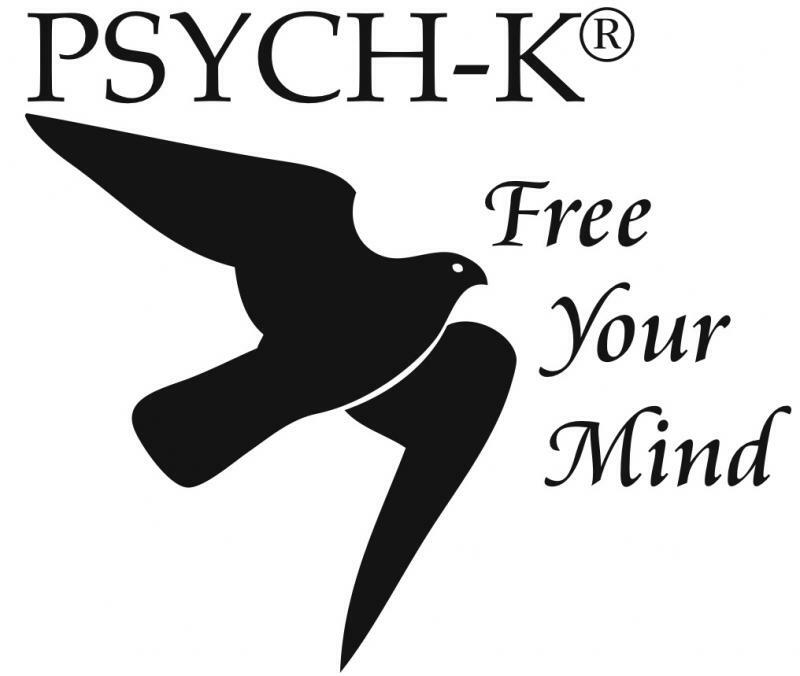 PSYCH-K® originated in 1988 by Psychotherapist Robert M. Williams, M.A., in response to the frustration that came with the realization that typical counseling techniques, which rely almost exclusively on insight and motivation, seldom create real and lasting changes. Also known as Psychological Kinesiology, PSYCH-K® helps to identify and change subconscious beliefs that perpetuate old habits and behaviors that you would like to change. It is a simple process that helps you communicate with your subconscious mind so you can change beliefs that sabotage your self-esteem, relationships, job performance and even your physical health. 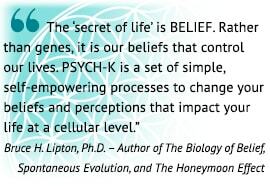 PSYCH-K® is a user-friendly way to change the software of your mind in order to change the printout of your life! Changing subconscious beliefs that may be sabotaging well-intentioned actions is similar to reprogramming a personal computer. Using PSYCH-K® techniques, a kind of "mental keyboard" to your own brain, you can increase "cross talk" between the two brain hemispheres, thereby achieving a more "whole-brained" state, which is ideal for changing subconscious beliefs. In addition, when right and left hemispheres of the brain are in simultaneous communication, the qualities and characteristics of both hemispheres are available to maximize your full response potential to life's challenges.